SINCE OPENING IN 2000, Hazelhurst Arts Centre has established itself as a focal point for visual arts and culture in southern Sydney. With more than 230,000 visitors in 2017, it has grown to be a popular and vibrant community hub, as well as a cultural hub for visitors from further afield. 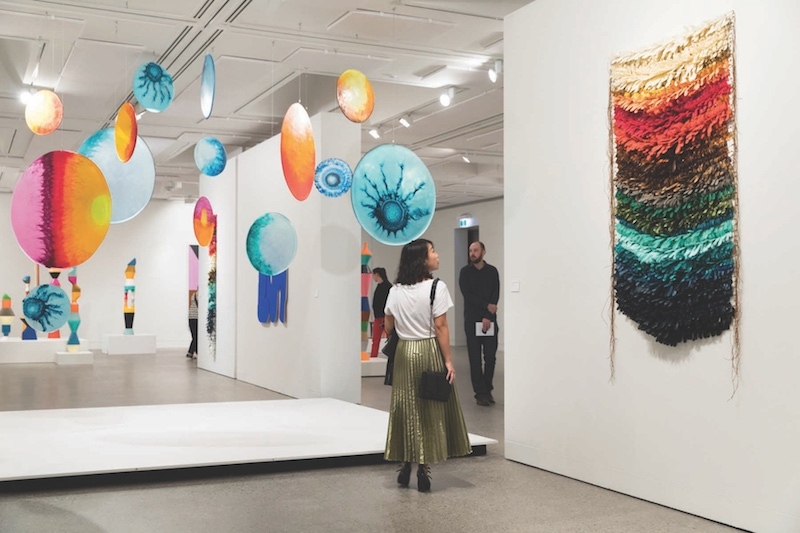 The gallery – located 40 minutes south of Sydney CBD, at the gateway to the Royal National Park – sits amid 1.4 hectares of family-friendly gardens, which fill up with commissioned art installations throughout the year. Hazelhurst is a major public gallery that presents a diverse program of contemporary and significant historical Australian art. In addition to the main gallery, the Broadhurst Gallery showcases the work of emerging artists, Hazelhurst students and art groups. More than 600 students are enrolled each term in Hazelhurst’s spectrum of day and evening art classes, which cover ceramics, painting, printmaking, jewellery, mosaics and photography. These take place in the six art studios at the centre. The original 1946 home of benefactorsBen and Hazel Broadhurst– which has been restored to its post-war glory – is additionally used for artists in residence. An active public program consisting of Art Fest days, At Night evenings, Early Childhood, Art & Dementia and the Hazelhurst Film Club offer myriad ways to engage with art.